The winner of our November Blog Love Week 2 Giveaway is Jeanette! 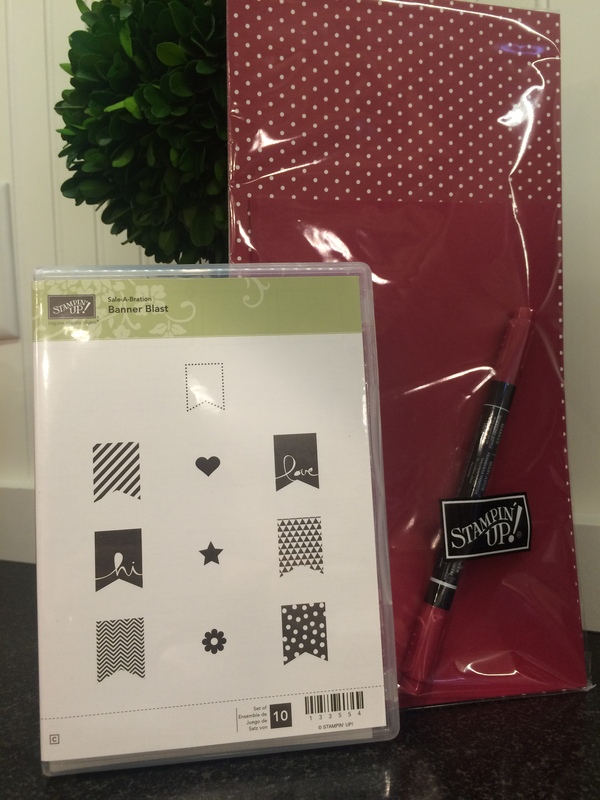 Jeanette wins this brand new “Banner Blast” stamp set and this designer paper, card stock and matching pen. Congratulations, Jeanette, and thank you to all who entered. I love receiving your comments- it’s like a present every time! Stay tuned, I’ll announce the week 3 giveaway sometime on Saturday.